When a parent reaches end of life or has a terminal illness it can be difficult to care for them full-time at home. Hospitals are not an ideal place to end one’s days, but a hospice can provide the care and peace to make for a good end in a hospice itself or at home. It’s not just about the last few days though. Hospices offer day care and outpatient services, and can also provide respite care to enable carers to have a break themselves. Hospice care, palliative care and end-of-life care are different ways of referring to supportive care for the terminally ill and dying and their families. Hospice services are usually provided by a health service or charitable trust and should therefore be free of charge. End-of-life care is usually the umbrella term under which hospice and palliative care sit. How can hospice care help my parent? Hospice care is designed to be holistic, looking after a person’s physical, emotional and spiritual needs. Most hospices offer psychological care, pain and symptom control, physiotherapy, complementary therapies (massages, reflexology etc) and rehabilitation to help your parent remain independent while facing a terminal illness. How can hospice care help me? During the course of your parent’s illness and after their death a hospice can support you with pre-bereavement and bereavement counselling to help you come to terms with the loss of your parent. Your parent can also stay at a hospice for a short period of time to give you or the person(s) responsible caring for them a period of respite. Hospices can provide advice on practical arrangements such as funerals and the financial implications these may have. When can my parent have hospice care? Your parent doesn’t have to be at the end of their life in order to receive hospice care. Hospices can support them during the course of their illness and in their last days. Your parent can receive help managing the symptoms of their terminal or degenerative illness in its early stages as well as comprehensive care when they can no longer cope on their own. Where can my parent have hospice care? Your parent doesn’t have to go into a hospice to receive end-of-life care. They can have hospice care at home, go in for day care, access inpatient and outpatient hospice services or go into hospital. How can my parent access hospice care? While you can contact your parent’s local hospice directly it can be a good idea to ask for a referral from their GP, hospital doctor or nurse. Depending on demand you may find that hospice places local to your parent are limited which means their clinician will likely refer them to a hospice further afield. If your parent is visited regularly by a district nurse they could refer them to a community palliative care nurse or a Hospice at Home service. 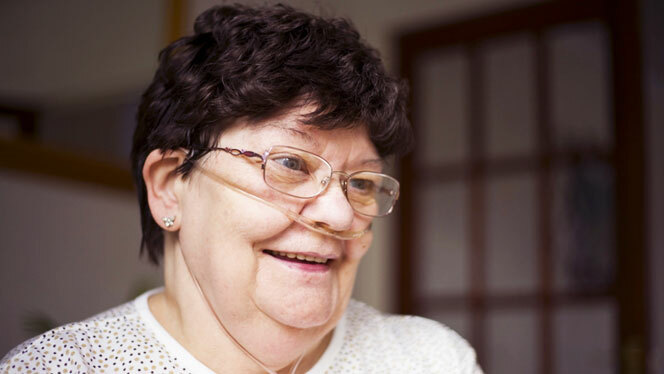 Hospice at Home services are largely overseen and supported by the National Association for Hospice at Home (NAHH) – an organisation responsible for ensuring that more people across the UK have access to palliative care at home. How do I find my parent’s local hospice? Usually whoever’s responsible for your parent’s on-going healthcare needs will refer them to their nearest hospice but if you’d like to research the different options available to you within vicinity of your parent’s home the NHS has a searchable database of hospice services on their site. Charity Help the Hospices also has a large directory of both local and national organisations and hospices that can help you and your parent manage their end-of-life care. The Dying Matters Coalition has a ‘local help finder’ in which you can enter your parent’s postcode to find the hospice service nearest them. If you’d like even more information on hospice care local to your parent The National Council for Palliative Care have an interactive map you can use to make contact with those responsible for managing and supporting palliative care in their area who can provide advice on how to access it. Do I have to pay for my parent’s hospice care? Hospice services are free for your parent and family as most hospice care is provided by charitable organisations or the NHS. Social care services and care homes may also offer some end-of-life care. It’s worth checking whether the residential or nursing home you choose offers palliative care, as that will enable a parent to stay where they know rather than moving to a hospice. As many hospices are charitable institutions they are always looking for ways to raise funds and are well worth supporting. If you’d like more information about hospice care you can get in touch with the UK’s leading charity supporting hospice care Help the Hospices on 020 7520 8200.